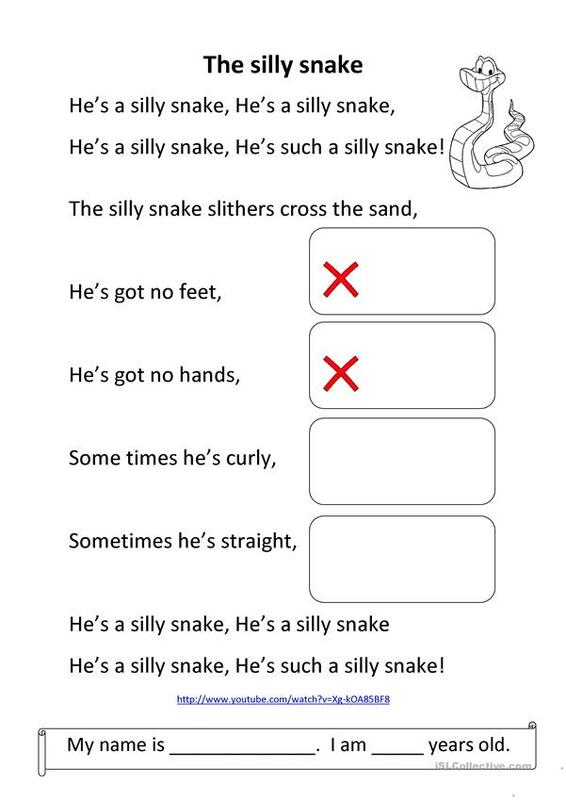 Sing the song then draw two feet, two hands, a curly snake and a straight snake. Connect the dots and say the numbers 1-19. 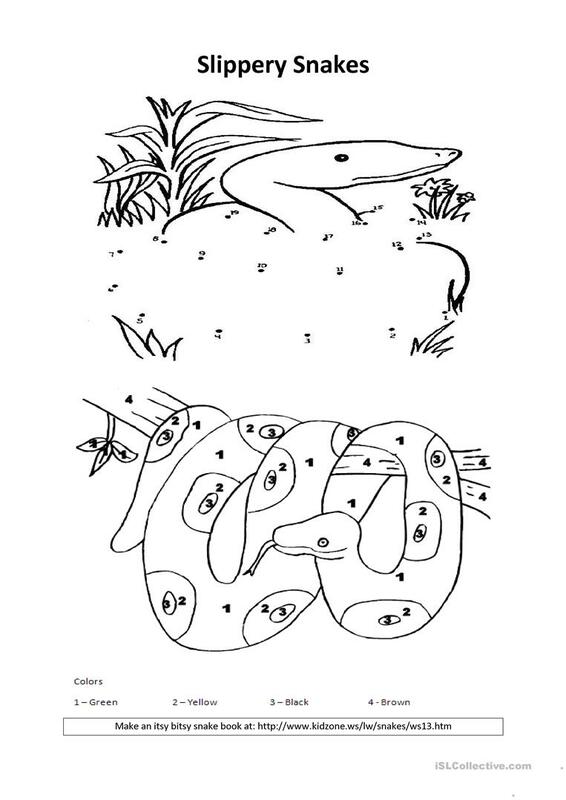 Colour the snake. Also see the itsy bitsy snake book at kidzone.ws. The present downloadable printable is intended for elementary school students and kindergartners and nursery school students at Beginner (pre-A1) level. It is aimed at consolidating Present simple tense in English, and can be used for honing your class' Speaking and Reading skills. It is about the topic and words of Animals.